As an award-winning broadcaster, newspaper columnist and business leader, Patti Payne’s extensive experience in both the media and public affairs provides a valuable depth of knowledge about Northwest issues and dealing directly with the media. She now guides companies on image and communication as principal and founder of The Payne Group. 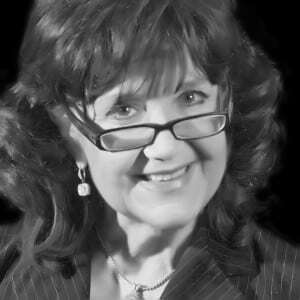 Patti can often be heard emceeing a variety of major local events, and is in demand as a keynote speaker as well. She is also a widely-read newspaper columnist; her “Behind the Scenes” column appears weekly in the Puget Sound Business Journal. Payne became a household name after spending more than 25 years as a correspondent and news anchor for KIRO, KOMO and KING radio stations in Seattle. During that time, she was awarded dozens of local and national honors for her work, including her coverage of the Oklahoma City federal building bombings. Patti serves on a number of nonprofit boards, including those of Bellevue LifeSpring, Red Cross Leadership and Treehouse Advisory. She is also part of Community Development Roundtable (CDRT) and Eastside Development Roundtable (EBRT). Patti is a vocalist and drummer with John Ellis jazz band and makes her home on Payne Acres, east of Seattle.